U.S. 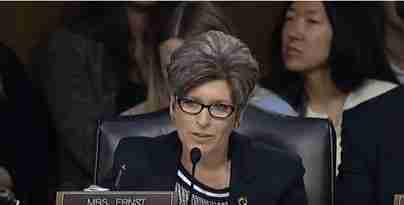 Senator Joni Ernst (R-Iowa) joined Senator Roger Wicker (R-Miss.) in submitting an amicus brief asking the U.S. Supreme Court to review the case of Planned Parenthood Gulf Coast v. Gee. A Fifth Circuit Court of Appeals ruling in the case currently prohibits states, including Mississippi, from eliminating taxpayer funding for Planned Parenthood through Medicaid. Two-dozen U.S. Senators signed the amicus brief led by Wicker including: Cindy Hyde-Smith, R-Miss., Bill Cassidy, R-La., John Kennedy, R-La., John Cornyn, R-Tex., Tom Cotton, R-Ark., Marco Rubio, R-Fla., Mike Enzi, R-Wyo., Jim Inhofe, R-Okla., Roy Blunt, R-Mo., John Barrasso, R-Wyo., Mike Rounds, R-S.D., Pat Roberts, R-Kan., Deb Fischer, R-Neb., John Boozman, R-Ark., Joni Ernst, R-Iowa, Ted Cruz, R-Tex., Jerry Moran, R-Kan., Thom Tillis, R-N.C., Orrin Hatch, R-Utah, Tim Scott, R-S.C., James Risch, R-Idaho, Steve Daines, R-Mont., and Chuck Grassley, R-Iowa. In the amicus brief, the senators challenge the Fifth Circuit’s ruling based on their interpretation of congressional intent in the Medicaid Act and state sovereignty in granting Medicaid provider status. They argue the Supreme Court should hear the case because circuit courts have offered contradictory opinions in similar cases.